/ BBQ / Landshark’s Thursty Thursday TEXAS HOLD’EM POKER 6PM! 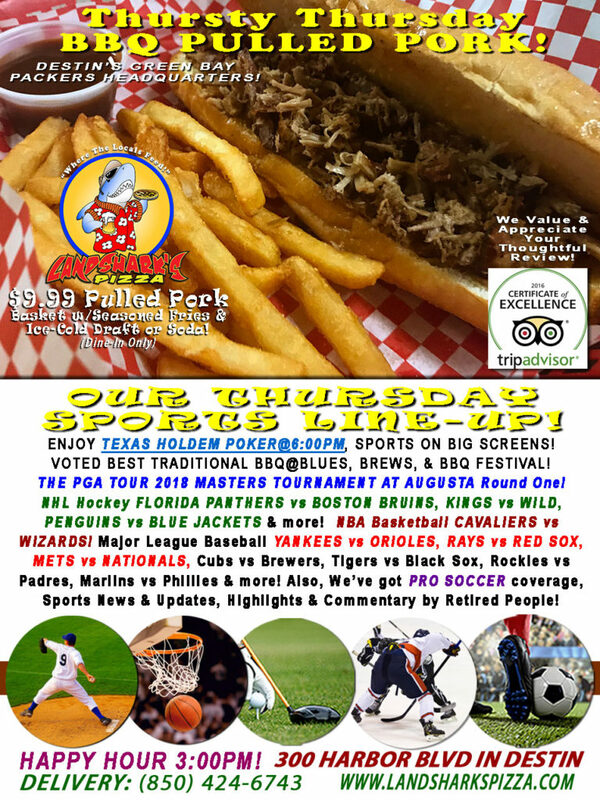 2018 PGA MASTERS & More BBQ & Brew $9.99! 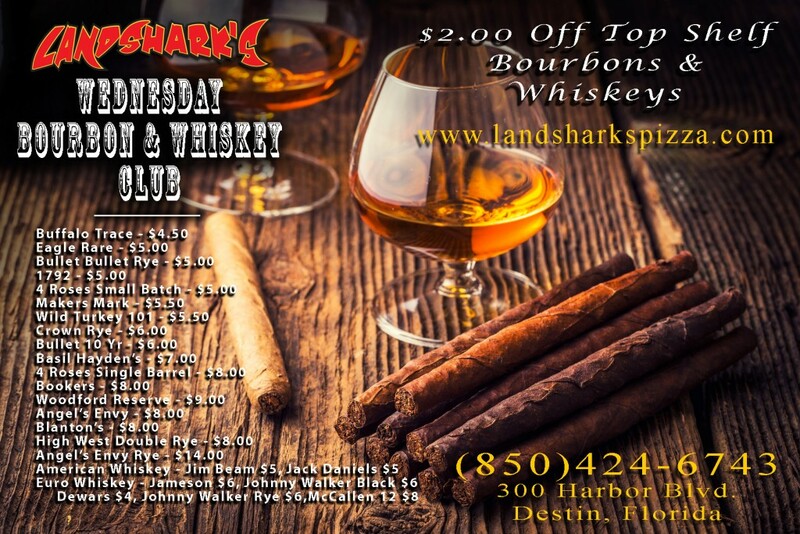 Landshark’s Thursty Thursday TEXAS HOLD’EM POKER 6PM! 2018 PGA MASTERS & More BBQ & Brew $9.99! 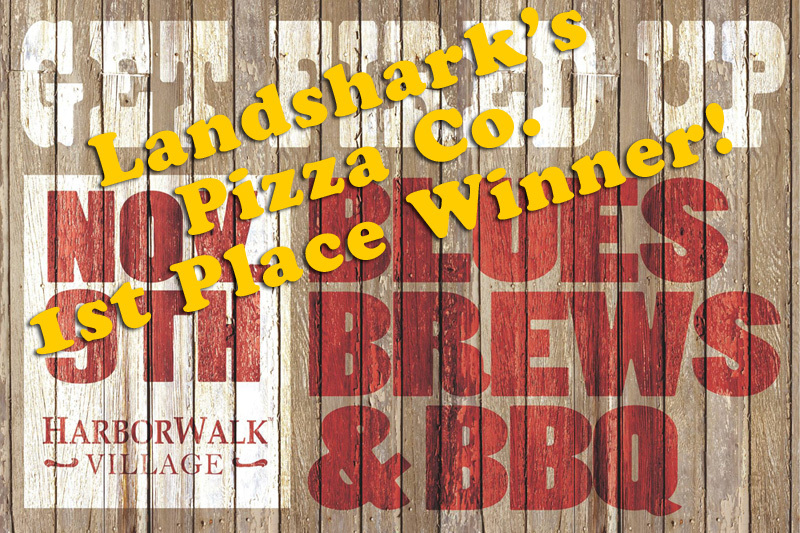 The Masters Tournament is back, Award-winning BBQ is ready, and we’ve got the poker chips standing by at Landshark’s! 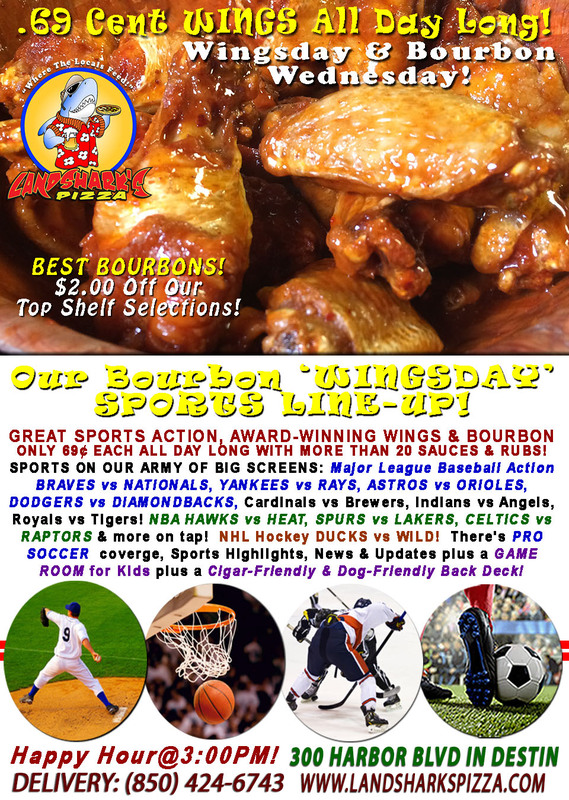 SPORTS ON OUR ARMY OF BIG SCREENS – Major League Baseball YANKEES vs ORIOLES, RAYS vs RED SOX, METS vs NATIONALS, Cubs vs Brewers, Tigers vs Black Sox, Rockies vs Padres, Marlins vs Phillies & more! NBA Basketball CAVALIERS vs WIZARDS! 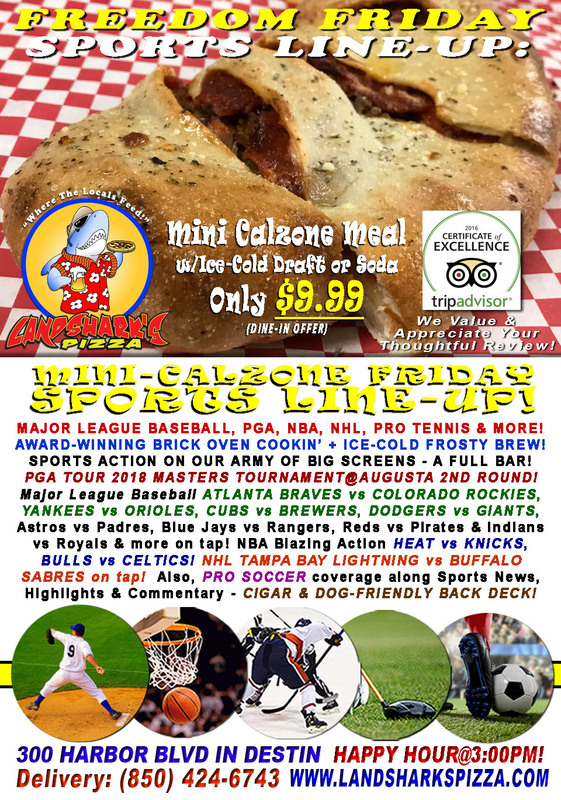 NHL Hockey FLORIDA PANTHERS vs BOSTON BRUINS, KINGS vs WILD, PENGUINS vs BLUE JACKETS on tap! PGA 1st Round THE 2018 MASTERS TOURNAMENT@Augusta. Also PRO SOCCER coverage plus plenty of other Sports Broadcasts, Sporting News, Analysis, and Commentary! 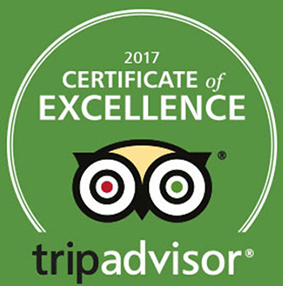 Previous Post: « Destin WINGSDAY Nom-Noms at LANDSHARK’S Award-Winning HOT WINGS only 69¢ & $2 OFF ALL BOURBONS SPURS vs LAKERS & More MLB, NBA!